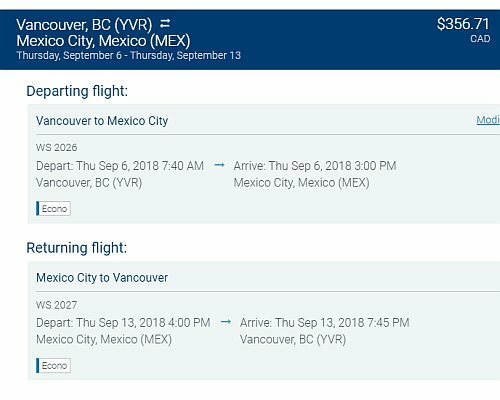 WestJet has dropped the price of their non-stop flights from Vancouver to Mexico City in September and October down to between $347 and $368 CAD roundtrip including taxes. - Look for the dates that are $401 roundtrip. 2. Go to the WestJet Promo Code page and scroll down to the flight search box. Save up to 15% off Econo base fares. 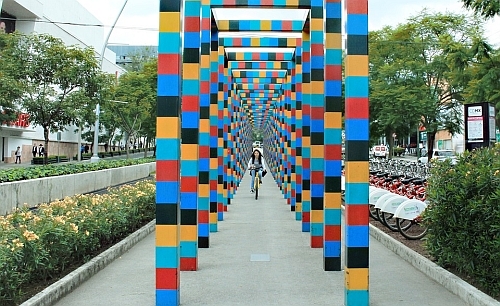 - Look for the dates that are $381 roundtrip. 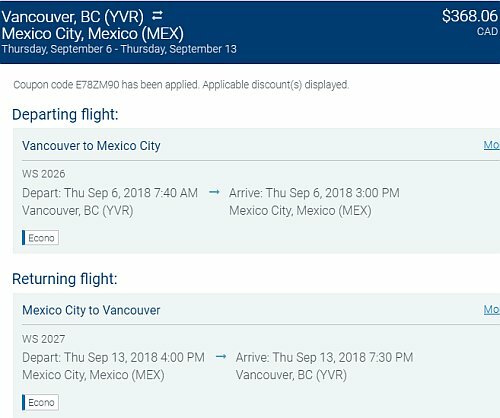 Book now and save 15% off Econo, Flex, Plus (Lowest) and Plus (Flexible) base fares to select destinations in Canada, the U.S., Mexico, the Caribbean and Europe. - Look for the dates that are $357 roundtrip.